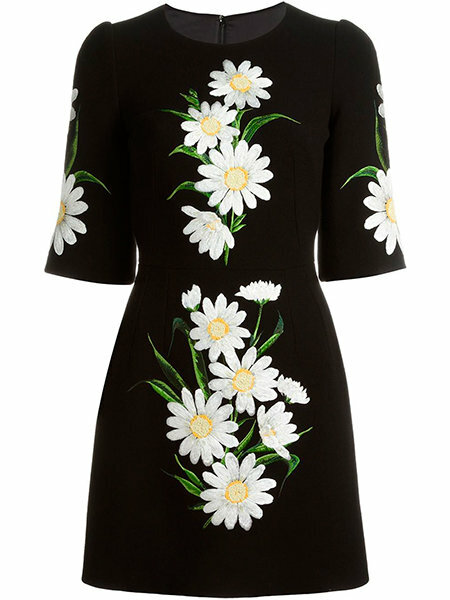 Everything is just so fresher, brighter, better with daisies. Feeling gloomy and under the cloud? Take a breather in the comfy flowerbed of throw pillows, adorned with set of machine embroidery designs daisies. Such bright and cheerful company will put you on a sunnier side in no time! Take the white floral pick-me-ups with you everywhere you go by embroidering them on oh-so-very handy and stylish canvas totes. Welcome to our Internet Machine Embroidery designs Store and Free Machine Embroidery Patterns online. Here you will find exclusive designs for machine embroidery as well as cross stitching that will allow you to create stunning pieces for your home or unique gifts for any occasion. Interior embroidery is a new trend in home design. Having just a few embroidered pieces in your house or apartment will allow you to significantly improve the look of your space as well as creatively express your own personal style. Royal Present Embroidery reserves the right to change the Sewing Machine Embroidery Patterns or remove them altogether from the online embroidery shop without any previous warning. Don’t forget to download the files with the designs as soon as you have purchased them. Please, make sure to choose the size and format of the file, compatible with those of your embroidery machine. For the download to be successful, the settings of your Windows should be right. Also, for older operating systems, your computer needs to have the right software for ZIP files. After you have downloaded the design in a ZIP file, unzip the folder to extract the files. If you haven’t received the design you ordered. Log into your personal account (My account) and download the file from there. 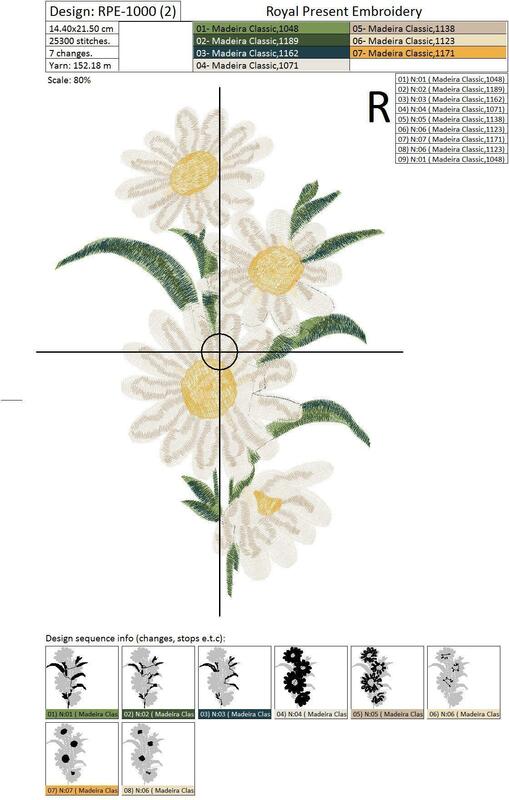 In the archive you buy, there are .jpg files, which are the instruction for each embroidery design. You need to make sure, that this instruction has a 100% scale. This is written in a left upper corner of the instruction. If the design doesn’t fit on one A4 sized sheet, the instruction can contain from few sheets. They are usually named (1-1), (1-2) and etc., which are after the name of the actual design. For example, if the name of the design is RPE-1002, then the instruction can consist of several pages with a name: RPE-1002(1-1), RPE-1002(1-2) and etc. 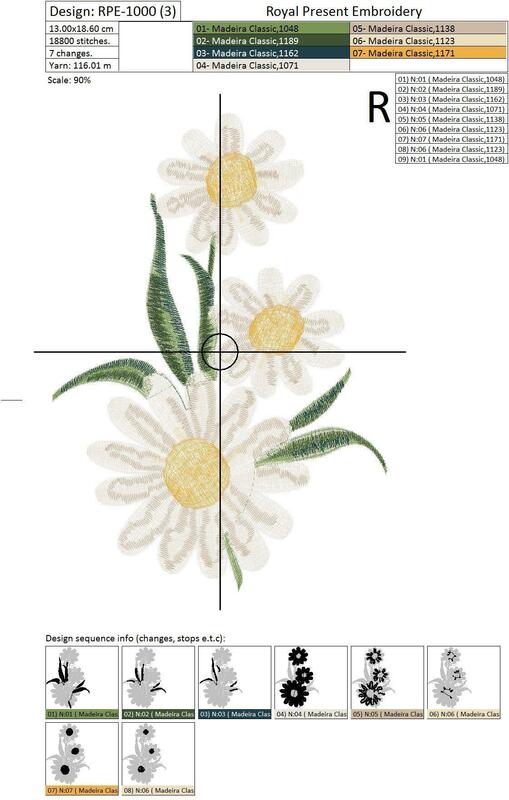 To check the position where you plan to embroider, you can print out the instruction and try in on the textile. 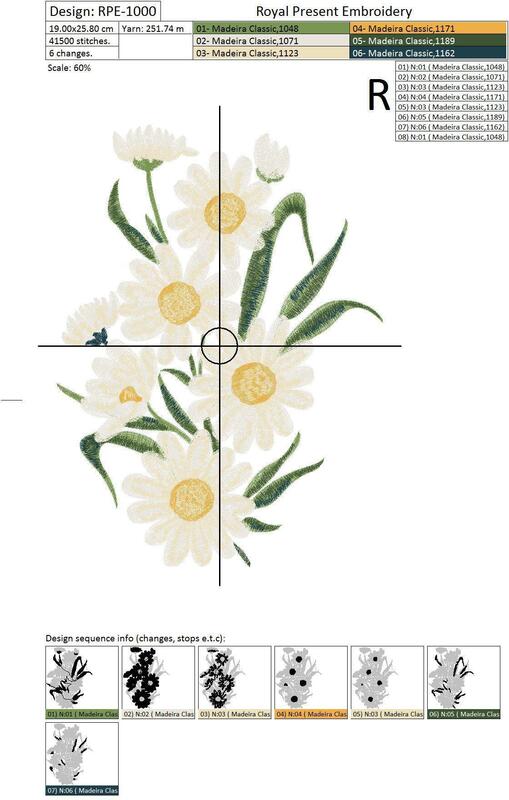 In the instruction, you will see the centre of the embroidery and the horizontal and vertical position. You can mark the centre on the textile so its more comfortable to embroider where you want. IT IS IMPORTANT! We never divide our designs! If your hoops are too small to embroider big designs, you can divide our designs in a program, which is for your machine. What machine embroidery designs do you need first? Choosing fabric for machine embroidery. Part 2. Choosing fabric for machine embroidery. Part 1. Why won’t my embroidery machine read a design, when I transfer it into it?